Scaffolding Steel Boards are manufactured as per customer Specification and Sizes. 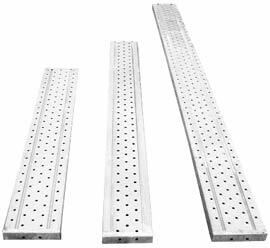 Lengths: Normally produced Lengths are: 4 MTR/ 3 MTR / 2.50 MTR / 2.0M MTR / 1.20 MTR. However, we can produce special other lengths also as per customer requirements.